The national theme for this year's Black History Month is Black Migration. This refers to the trend in which many African Americans migrated from racism in southern states in search of a better life and higher paying jobs elsewhere. Five Points West Regional Library is hosting several free programs during February beginning next week based on black migration. Springville Road Regional Library is also hosting a screening of Goin to Chicago in February. 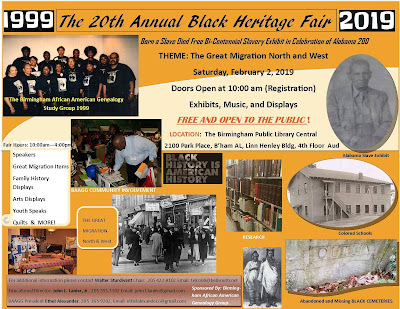 On Saturday, February 2, the Central Library is hosting the Birmingham African-American Genealogy Group (BAAGG)'s 20th Annual Black Heritage Fair, with The Great Migration theme. BAAGG holds its monthly meetings at the Central Library. The topic is personal to 78-year-old Dianne Moore, a Birmingham native whose parents migrated up north to Ohio when she was a child to escape racist Jim Crow laws. "We as African Americans need to learn more about our past," she said. Moore, who is director of public relations for the BAAGG, talked about the Black Heritage Fair in this interview at The Birmingham Times. 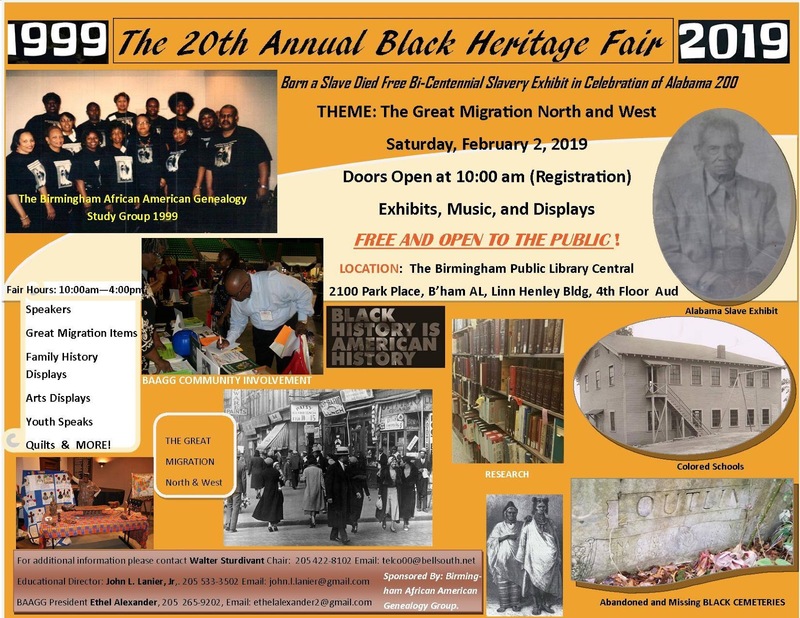 Birmingham African American Genealogy Group's 20th Annual Black Heritage Fair - The Great Migration, Saturday, February 2, from 10:00 a.m. to 4:00 p.m.
Birmingham lawyer J. Mason Davis will discuss The Great Migration during this event. Featured will be Great Migration items, black genealogy displays, quilts, art, and more. 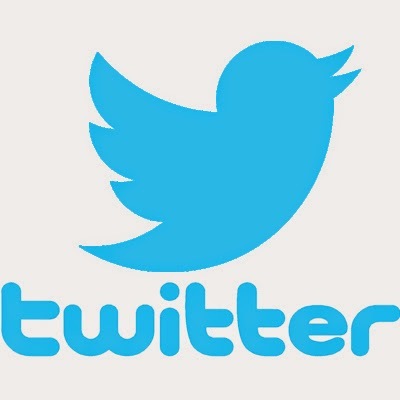 Patrons are invited to complete answer sheets about The Great Migration. All entries must be turned in by February 22, 2019. Winners will be announced Saturday, February 23, at The Great Migration presentation. Screening of The Great Migration film, Wednesday, February 20, 10:30 a.m.
Join us for a film that chronicles the great migration of African Americans from the rural south to cities up north and west during and after World War II. Presentation and lecture on Jacob Lawrence's The Great Migration Series, Saturday, February 23, 2:30 p.m. Professor and artist Steven Walker of Lawson State Community College will present a lecture on The Great Migration. Screening of the Kanopy Documentary Goin' to Chicago on Friday, February 22, 10:00 a.m. The migration of African Americans from the rural South to the North and West during and after World War II is retold through the personal stories of a group of Chicagoans born in the Mississippi Delta.